This post is sponsored by AE Dairy. They supplied the delicious yogurt, and I supply my opinions (and recipe of course!). 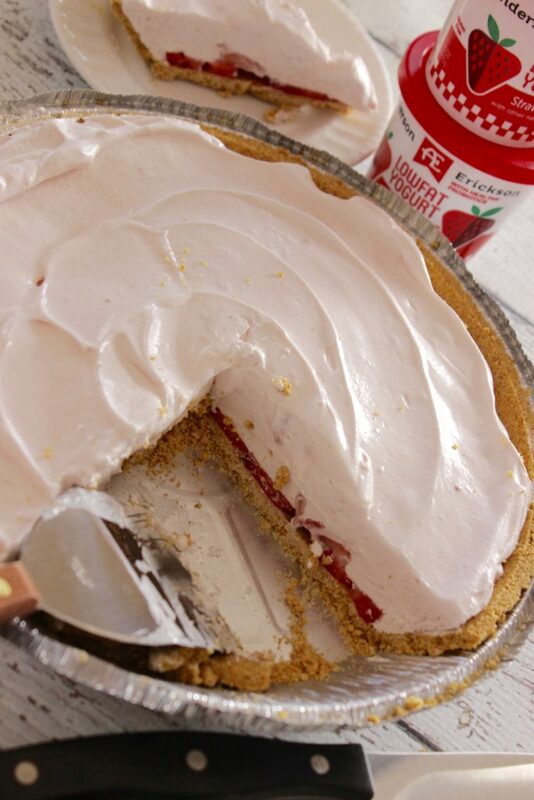 This frozen yogurt pie is one of mine and the kids’ favorite desserts to make. And, because it has yogurt in it, I feel like it’s a healthier dessert option as well. Check out how we make this pie. Many, many many moons ago a friend taught me how to make this pie. And I’ve made it one hundred times since then for every occasion because it’s so easy and it looks really fancy when it’s done. 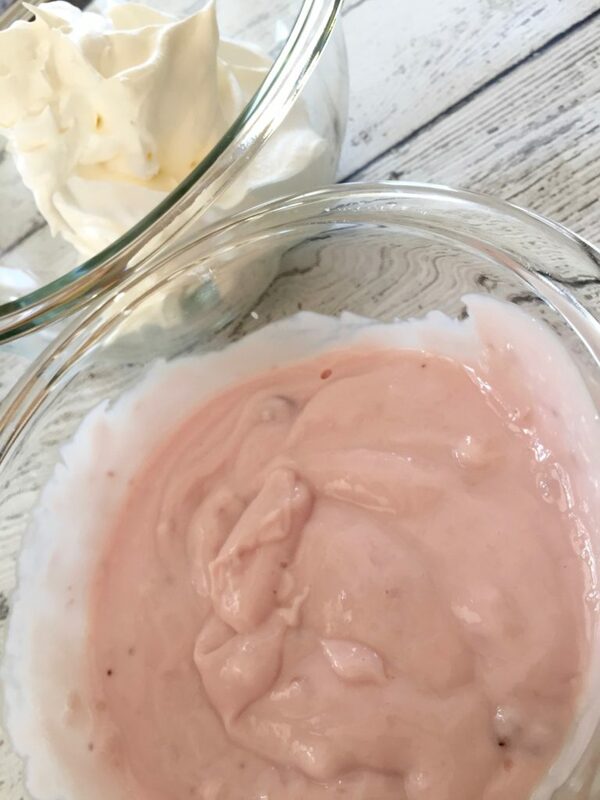 Now that we have kids it’s even more fun because this is a simple yogurt pie recipe that we can make together and they can choose the flavors. Depending on your tastebuds, you can make any flavor of pie that you desire. I made strawberry here in this recipe, but you could swap out the strawberry yogurt for piña colada and sprinkle coconut on top. Or, you could use orange cream AE lowfat yogurt and line the crust with mandarin oranges. This is a recipe that you can make your own with no work at all. And, I used low fat Cool Whip, making this an even healthier dessert option and probably one of the healthiest pies you’ll come across. 🙂 I also love that it has fruit and dairy in it, all important parts of a well-rounded diet. 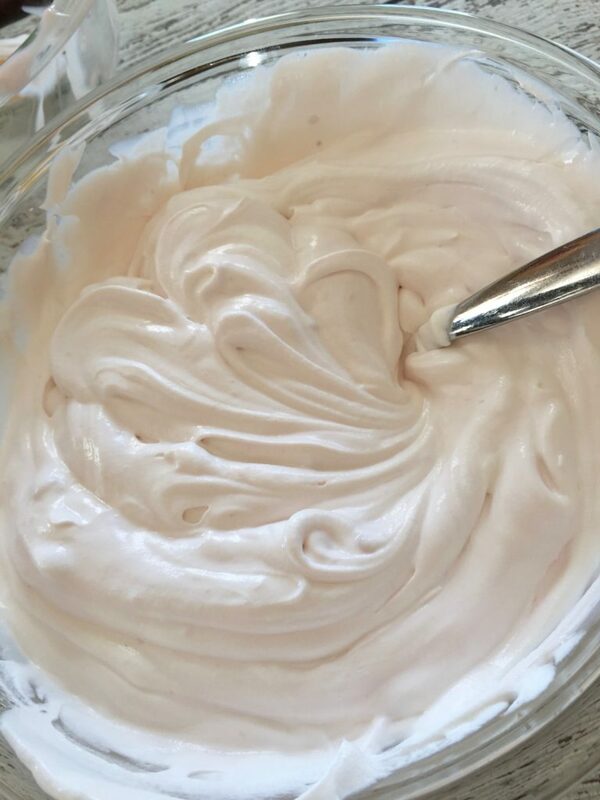 Before I tell you all about the yogurt pie filling and how I whipped up my strawberry yogurt pie though, I wanted to tell you a little bit about why I love using and eating AE Dairy products. AE Dairy is a dairy that has been operating in Des Moines, Iowa right around where I live since 1930. It’s always been a family-owned company that has been passed down through the generations and even the CEO, Miriam Erickson Brown, is the granddaughter of the founder. 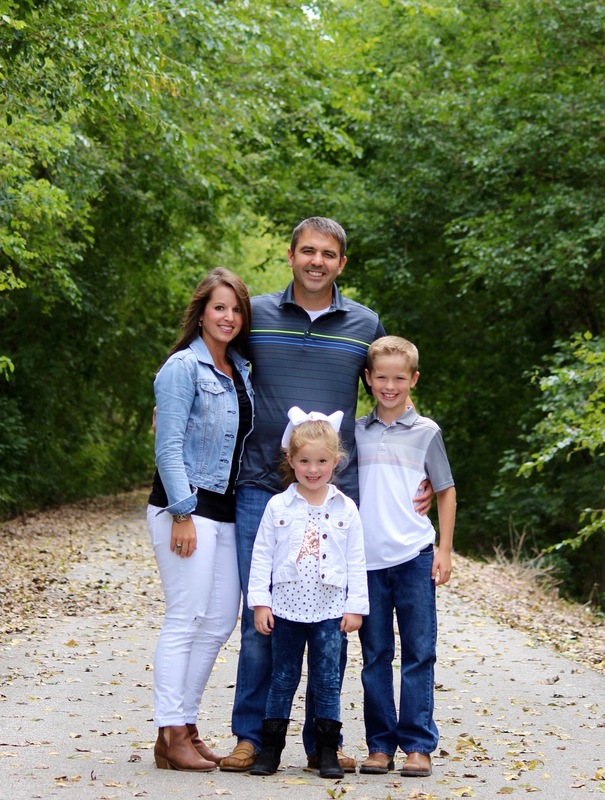 Her brother is the CFO and their father is still Chairman of the company. How neat is that?! And, in case you’re wondering, AE Dairy’s leadership team (up to and including the CEO) taste tests the products they make on a weekly basis to ensure that everything tastes exactly how it’s meant to. You’re always going to know what to expect from them and I appreciate that. On top of these fun facts, AE Dairy does not accept milk with added hormones, antibiotics or pesticides, so when you use their product you can rest assured knowing that only the best is going in your recipes. Enough of my rambling on, I want to show you how incredibly easy this yogurt pie really is to make. 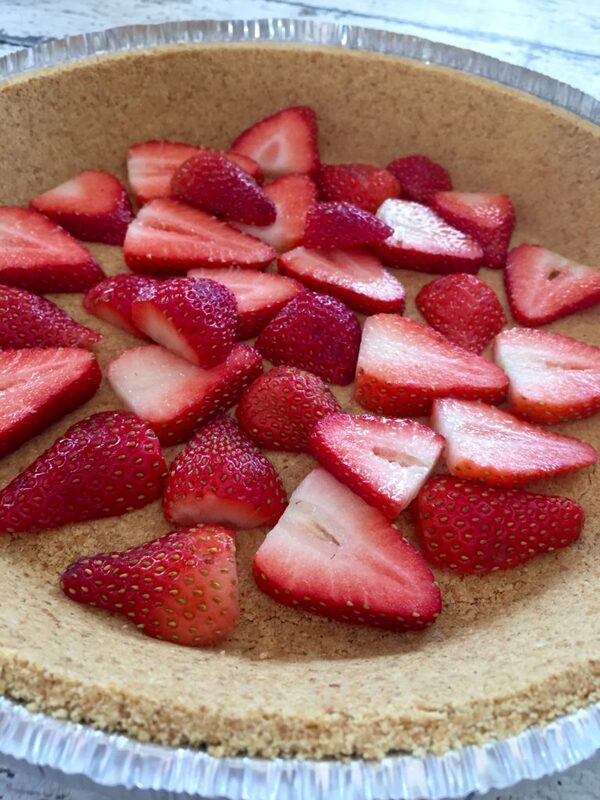 First, make your graham cracker crust… who am I kidding? I bought mine pre-made… but if you’re up for it, crush some graham crackers, add some butter and line a pie dish with your crust. Line the graham cracker crust with fruit of your choice. I chose strawberries, but you could do bananas, oranges, blueberries, apples, and the list goes on. Mix together two containers of yogurt and one container of Cool Whip. Low fat does the job just as well as regular, so I always go with the low fat variety. Put a lid or foil on the pie and freeze pie for four hours. Keep in mind that the fruit will freeze, so the longer you leave the pie in the freezer, the harder the fruit will be. Remove from freezer and cut into pieces. Now do you see why we love making this pie? 😀 Delicious, easy, inexpensive and healthy. All of my favorite things in one dessert. Save money buying Viagra and cheap cialis pills online getting cialis for CIALIS. I want to show thanks to this writer just for bailing me out of this type of trouble. After looking out through the the web and obtaining methods which were not beneficial, I thought my life was done. Being alive without the approaches to the issues you’ve fixed all through the posting is a serious case, as well as those that could have in a wrong way affected my entire career if I had not discovered the website. Your primary skills and kindness in maneuvering a lot of things was valuable. I don’t know what I would have done if I hadn’t come across such a point like this. It’s possible to at this time look forward to my future. Thanks a lot so much for the impressive and effective help. I won’t think twice to refer your blog post to anyone who needs and wants guide on this subject matter.